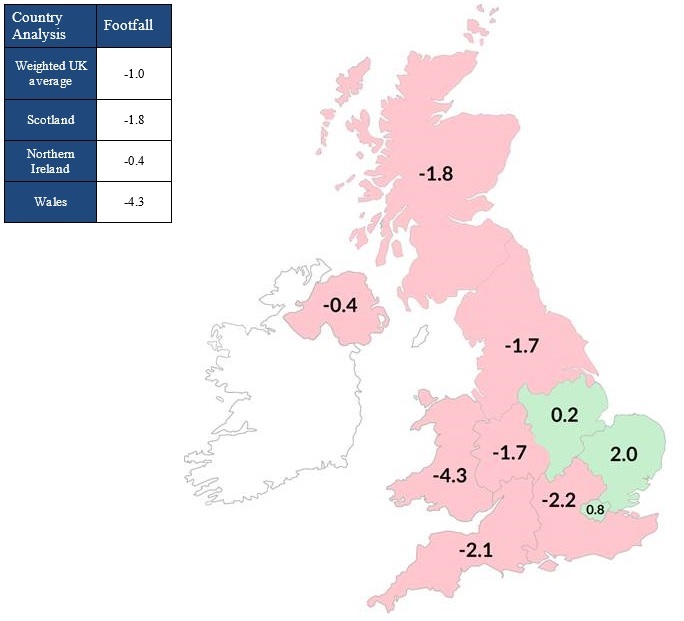 • In May, footfall numbers in Wales were 4.3% lower than a year ago, down on the 3.6% rise in April 2015. • This is the worst performance since January 2015 and significantly below the UK average of -1.0%. ‘’Despite the drop in footfall in retail parks in Wales, relative to high streets and shopping centres, however, they performed strongly in May with only a modest drop of 1.3 per cent compared with 5.6 per cent in high streets and 4.4 per cent in shopping centres. David Lonsdale, Interim Head of the Welsh Retail Consortium, said: “Shopper footfall in Wales shrivelled further in May, and at its fastest rate since January. Footfall has now fallen on Welsh high streets and shopping destinations for sixteen consecutive months. That said, we have to bear in mind that retailers are increasingly adept at harnessing the internet and multi-channel innovations to get through to consumers who might not have time or inclination to travel to the shops.